TEAM AND SOCIAL GROUP OUTINGS! 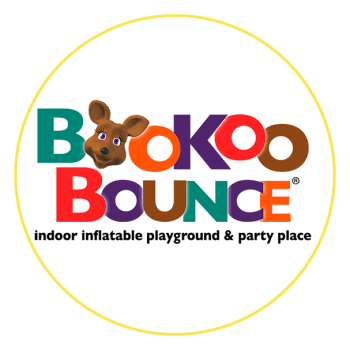 BooKoo Bounce is the PERFECT place for Field-Trips, school-incentive outings and end-of-the-school-year celebrations. Safe, clean, physical activity in a controlled, supervised environment for a reasonable price. Dozens of the biggest and best inflatable bouncers, slides and obstacle courses! Average age range for field-trip groups are from 2 years old and up to 12 years old. BooKoo Bounce is also a wonderful, unique venue for corporate outings! Call for special CORPORATE GROUP rates!